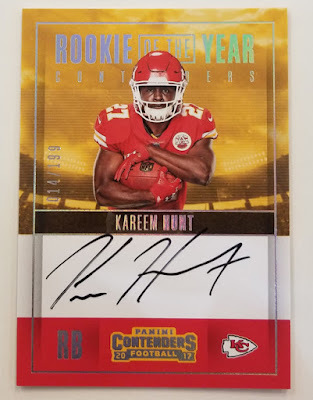 For almost two decades now, Panini America’s landmark Contenders Football brand has been a defining staple of every NFL season. 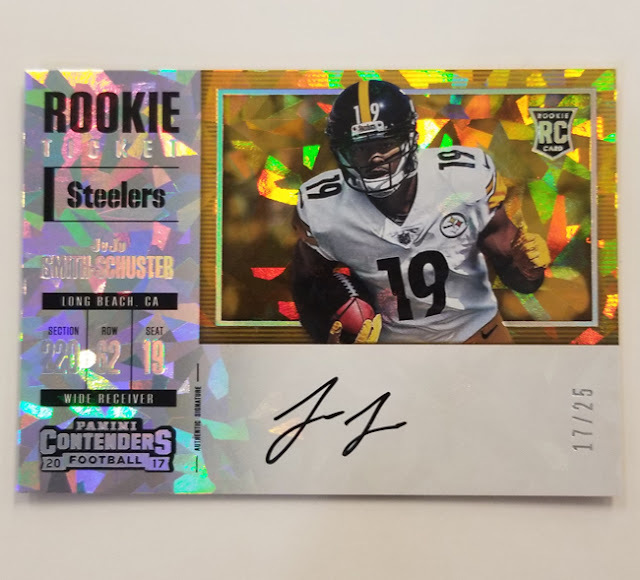 The Contenders brand, an ink-heavy institution whose pioneering Autograph Rookie Tickets long ago made Contenders Football the home of the autographed Rookie Card. 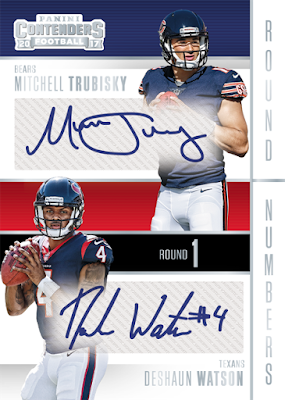 All these years later, that home remains in impeccable condition as the brand prepares to host the highly anticipated 2017 edition. 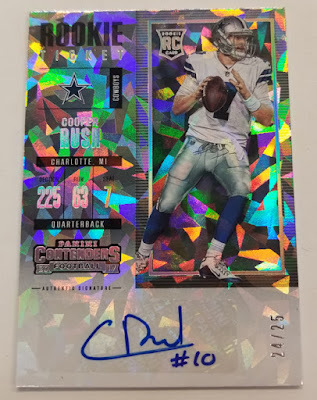 Set to arrive at Sports Cards Plus on Friday, December 29th, 2017 Contenders Football once again will largely be defined by those Rookie Tickets and their robust arsenal of parallels featuring Playoff Tickets, Championship Tickets, Cracked Ice Tickets, Super Bowl Tickets and Printing Plates. 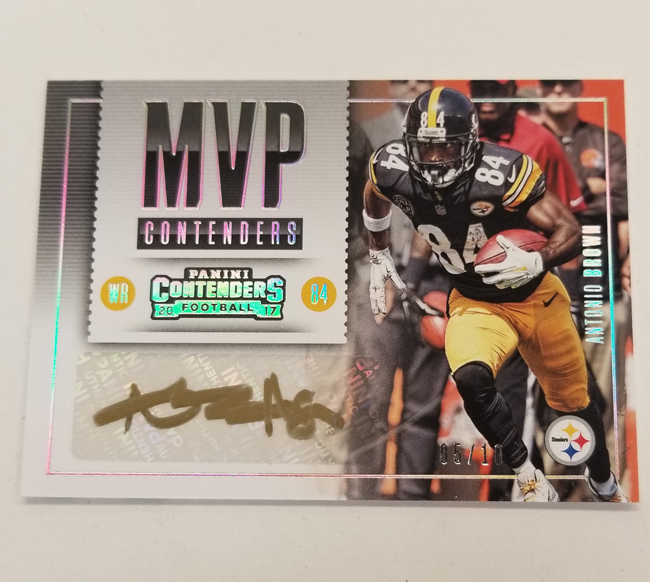 On average, each hobby box of 2017 Contenders Football (five cards per pack, 24 packs per box, 12 boxes per case) will deliver five or six autographs (including one or two on-card), one parallel and 18 inserts. 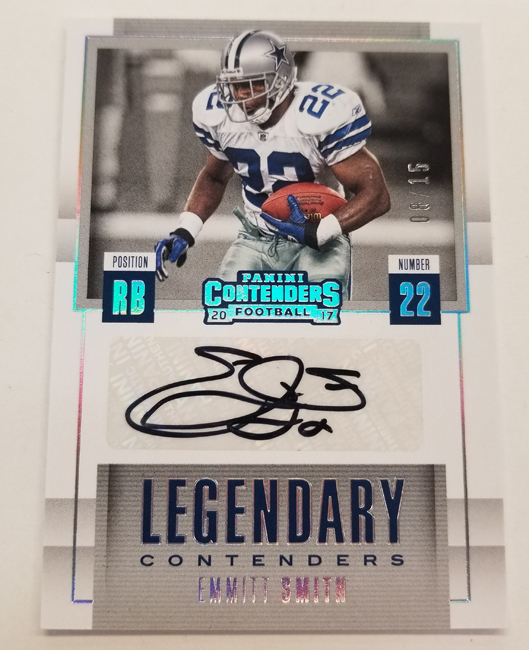 -- Autographs of top legends and veterans in key inserts such as Legendary Contenders Autographs, MVP Contenders Autographs, NFL Ink, Sophomore Contenders Autographs and the all-new Veteran Ticket Autographs. 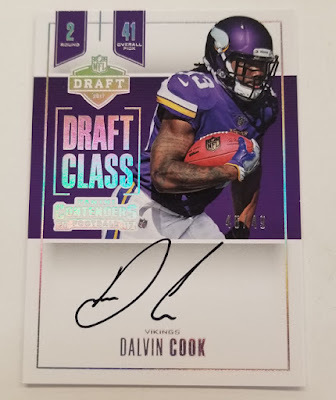 -- Brand-staple insert sets such as Rookie of the Year Contenders, MVP Contenders, Legendary Contenders, Team Quads and Round Numbers, pairing top rookies selected in the same round of the 2017 NFL Draft. 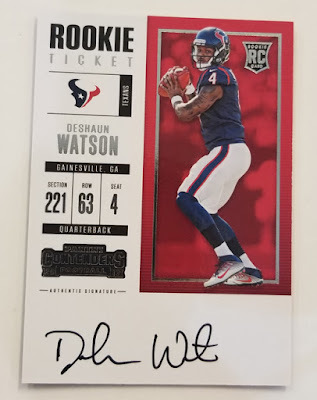 -- The return of the hobby-only Golden and Silver Tickets. 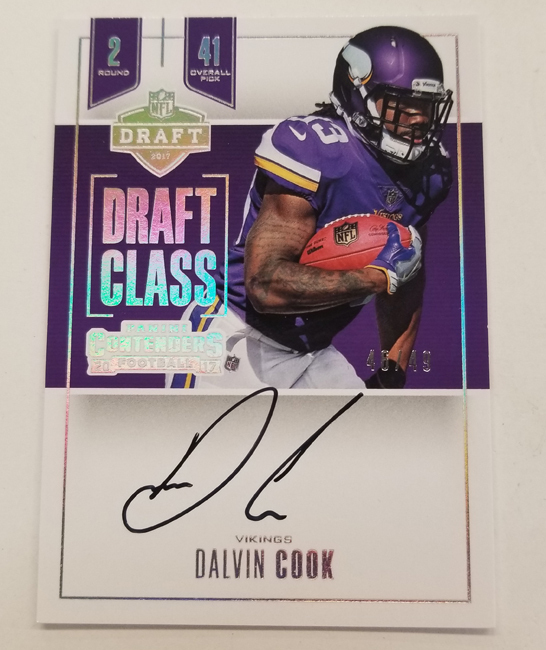 The Draft Class Autographs chase features the season’s top rookies and paralleled by Gold (numbered to just 17) and Platinum 1/1 versions. -- Legendary Contenders Autographs features some of the greatest NFL players from the past numbered to 49 or less. 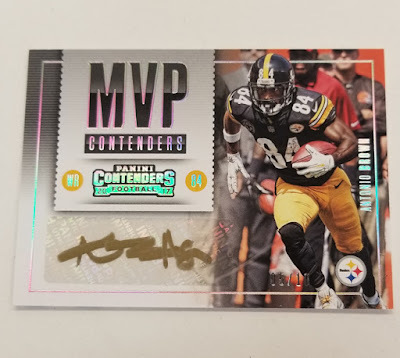 -- MVP Contenders Autographs highlights 20 big-name candidates for the NFL MVP Award (numbered to 49 or less). 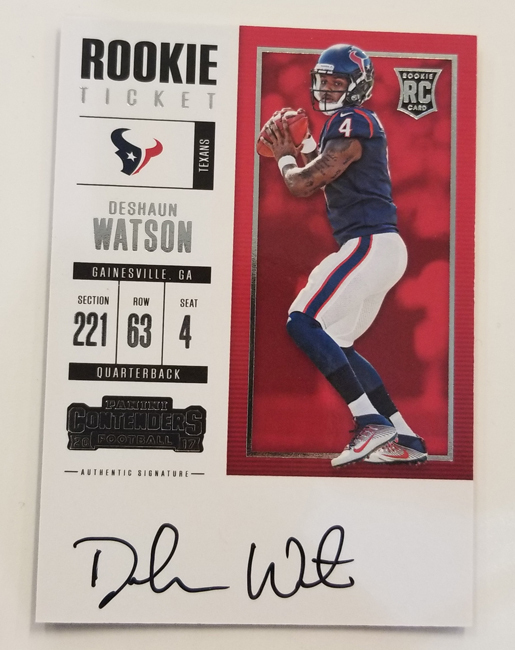 -- A 400-card base set that includes Season Tickets, Rookie Tickets, Rookie Ticket Variations, Veteran Ticket Autographs and Coaches Tickets. 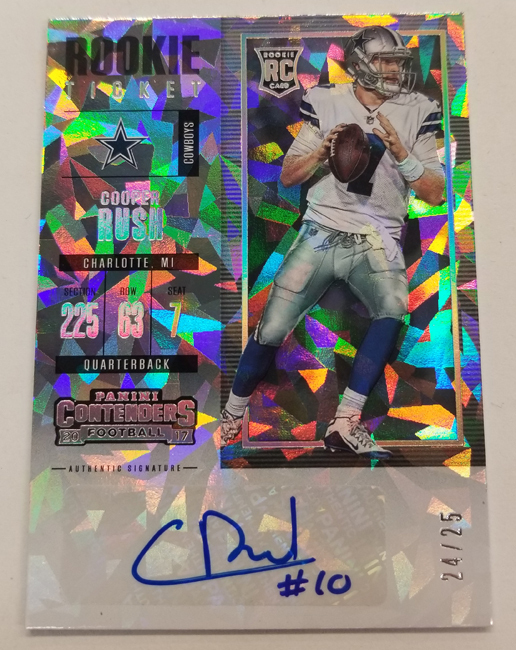 Look for Cracked Ice parallels numbered to 25 and Printing Plate 1/1s.